When it comes time to pack up and move out, our Reedley movers are here to help! Meathead Movers proudly staffs each moving crew with professionally trained student-athletes, supported by our dedicated moving concierge and Princess Packers, for an unmatched moving experience. Whether local or long-distance, our Reedley movers are here to make your next move go smoothly. From your free quote to moving day, Meathead Movers is dedicated to delivering an exceptional moving experience in the Central Valley and beyond. Known as The World’s Fruit Basket, Reedley is a small community that boasts a wide array of annual festivals. Many families move to Reedley to enjoy the pleasures of small-town living while still being close to all the conveniences of the nearest big city, Fresno. Because moving is so stressful, many families benefit from hiring professional Reedley movers to help make the transition to this charming and welcoming community. Located about 30 minutes from downtown Fresno, Reedley is a center of vegetable and fruit cultivation. A summertime farmers market highlights the bounty of the area. The city’s location along the King River ensures that visitors and residents alike enjoy excellent outdoor recreation opportunities. Several walking paths throughout the city provide great exercise opportunities and allow residents to enjoy the beautiful blooms that can be seen all over the city. As anyone from Reedley will tell you, the area is known for its many annual festivals which are all family-friendly and designed to highlight the natural beauty of the area. Some of the most popular festivals in the town include the Reedley Electrical Christmas Parade, Reedley Festival, Reedley Street Faire, and Taste of the Town. The city is also home to the Mennonite Quilt Center and Cafe which provide visitors with the opportunity to look at gorgeous quilts and help support the peace-centric work of Mennonites around the world. If you’ve decided it’s time to move to this welcoming community, you need look no further for top-rated Reedley movers. At Meathead Movers, we’re proud to take care of all your local, long-distance, and commercial moving needs. Our Reedley movers are friendly, clean-cut student athletes who study at nearby colleges and universities. In addition to offering the best moving staff, we are also proud to employ Princess Packers who can help you get your possessions packed and ready for the big move. We are proud to jog when we are not carrying your belongings and are the only moving company in California that offers a 100% satisfaction guarantee to all our customers. No matter the reason you’re moving to Reedley, you’re sure to enjoy the benefits of living in this welcoming, hospitable community. 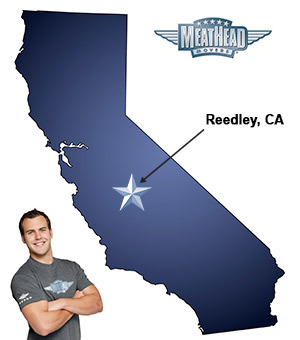 When you choose Meathead as your Reedley movers, you can rest assured knowing that we’ll send the same crew to load and unload your possessions. Fill out our quick online form today to get your free no-obligation move quote. Great service! The guys were super helpful and nice. Sam was awesome! Thank you! 1. First, your team was an hour and 15 minutes late. That wasn't the driver's fault but someone didn't show up and they had to get someone else they said so that started us out late. But we were given no compensation for that. 2. They showed up in a U-Haul. I did expect a Meathead Movers truck. I had no idea you even used U-Haul trucks. 3. The lead guy had all my paperwork to go over and sign which took up extra time. I told him I already Docusigned all the documents he was having me sign. In fact, they were sent to me twice and I SIGNED them twice electronically. He said no one notified him. He did take 15 minutes off the time and moved us to 10:30 because it was positively ridiculous to have me signing all this again on my time and dime. 4. There was no jogging and no hustle (as advertised) until the very end. 5. I was charged two hours for my drive time because of the double drive charge. The thing is, I make this drive all the time. It takes me 30 minutes. I ran the numbers through MapQuest and, door to door with moderate traffic and going through the town of Reedley - which is slow - they say it's 37 minutes. Now, add a little time for them having to drive 60mph but take off time for being able to skirt Reedley to the address they were going to - which we told them how to take - and that should end up even. At the worst it might be 45 minutes. They pulled in right after my husband and it took him 40 minutes with a fast food stop. They said they had to round off to the 15 minute mark but somehow that got the time up to 1 hour each way. They started at 10:30 and were done by 1:00 but I had to pay for the return drive which put me at 2pm and cost me almost an extra $100. The bill was already very high for what was needed and done and I was very unhappy about this extra charge. And he thought it was 4 hours and I had to argue with him about it. He realized his mistake while he was trying to explain it to ME. I taught math so I knew something was very wrong. This caused a lot of discomfort and stress but the financial cost was worth figuring it out correctly. 6. I honestly would have NEVER booked you guys if I had realized I was required, right then and there, to fill out a form in front of these guys and then to answer the question, "Do you think they deserve a tip?" SERIOUSLY?????? Who pays a tip on a $700+ bill?? You said you base their bonuses and raises on their performance but never mentioned a tip. That was incredibly awkward, especially when you don't feel things went according to expectations or agreement. I've never tipped anyone less than 10-15% on haircuts, etc. or more on meals. So, was I supposed to come up with a $100+ tip right then and there? I filled out the form with what I figured was expected but I did make a note that I hope you guys are paying them a decent wage because we paid a LOT. The customer shouldn't be expected to pay even more if you are not paying your workers decently and they are expected to survive on tips. I have NEVER heard of such a thing with movers. 7. I will say that they did hustle and jog at the end and they did get all of our furniture moved without chipping or nicking or breaking anything, and that is important and we did appreciate that. But these hidden fees and rounding up 15-20 minutes and jacking up the bill was SO stressful that no, I wouldn't use your company again and I would only recommend it with full disclosure and to let the buyer beware. These were nice enough young men and it seems they are under a lot of stress to make this move more lucrative to you, but it sounds like not to them. The whole thing felt shady. I had really expected to have a super positive experience and looked forward to working with you. Caveat Emptor. I had a great experience with the Meathead Movers. We had a four day move, very heavy pieces...but the guys remained so friendly and positive. I would definitely use them again! Workers had a great attitude! Well organized, friendly, prompt, and professional.